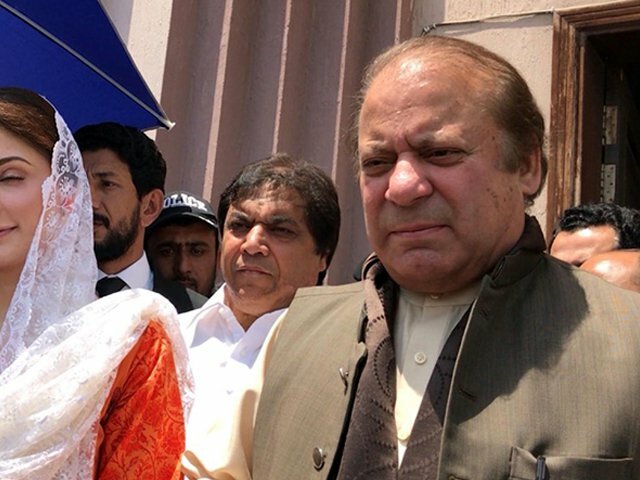 ISLAMABAD: The Supreme Court (SC) registrar on Wednesday rejected a petition moved by the Pakistan Muslim League-Nawaz’s (PML-N) to oust incumbent Chairman of National Accountability Bureau (NAB) Justice (retd) Javed Iqbal. 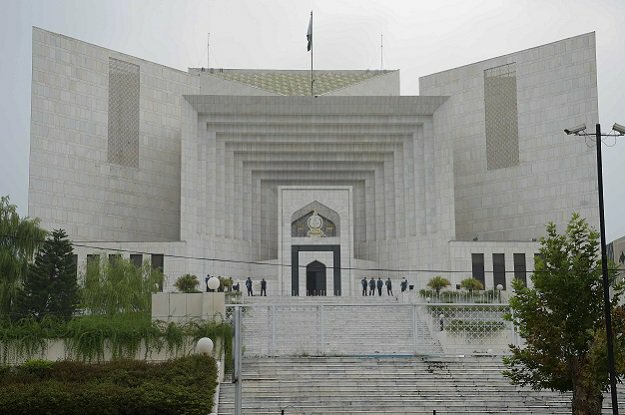 The top court’s registrar office returned the petition by raising two objections. One of the objection stated that the petitioner did not approach another ‘appropriate’ forum for action without providing justification for not doing so. 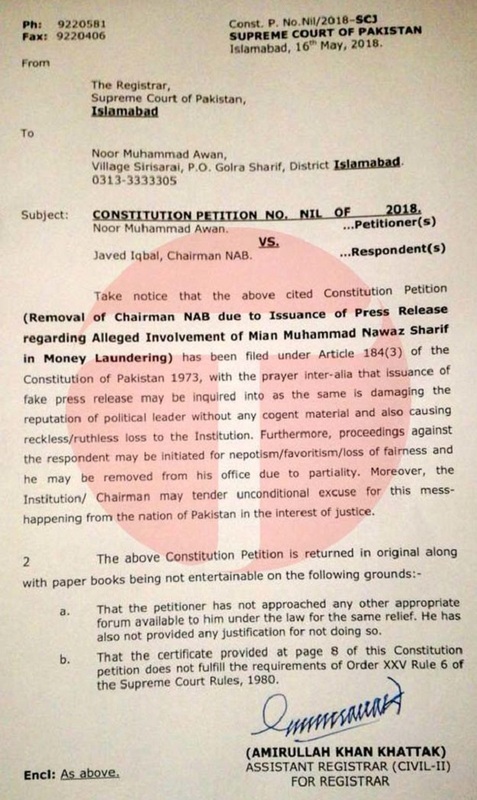 A PML-N leader on Saturday filed a petition in the SC seeking removal of Iqbal for “levelling allegations of money laundering against Nawaz Sharif”. The petition filed by Noor Mohammad Awan under Article 184(3) of the Constitution prayed that the court should remove the NAB chairman for “damaging the reputation of a political leader without any cogent material and causing reckless loss to the institution as he could not hold office due to partiality and unable to work with fairness”. The petition read that politicians generally level baseless allegations against their rivals to secure their political goals and motives. “The removal [of NAB chairman] is inevitable to meet the ends of justice,” it adds. 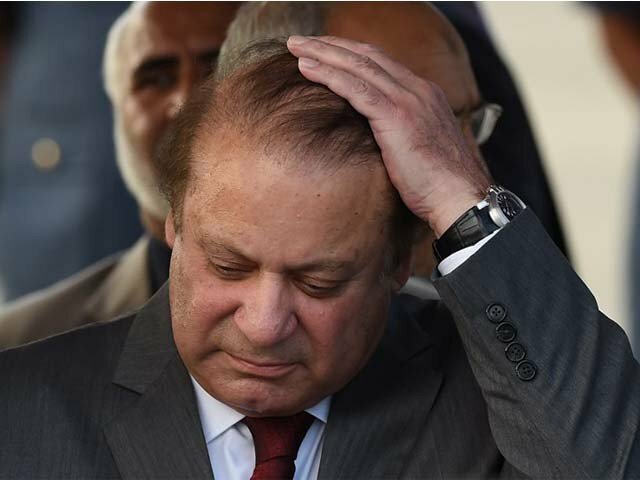 On May 8, the NAB chairman, taking notice of money laundering allegations, ordered an investigation against former premier Nawaz Sharif. The State Bank of Pakistan (SBP) had categorically rejected a report that suggests an outflow of $4.9 billion from Pakistan to India as remittances, terming the report contrary to the facts. 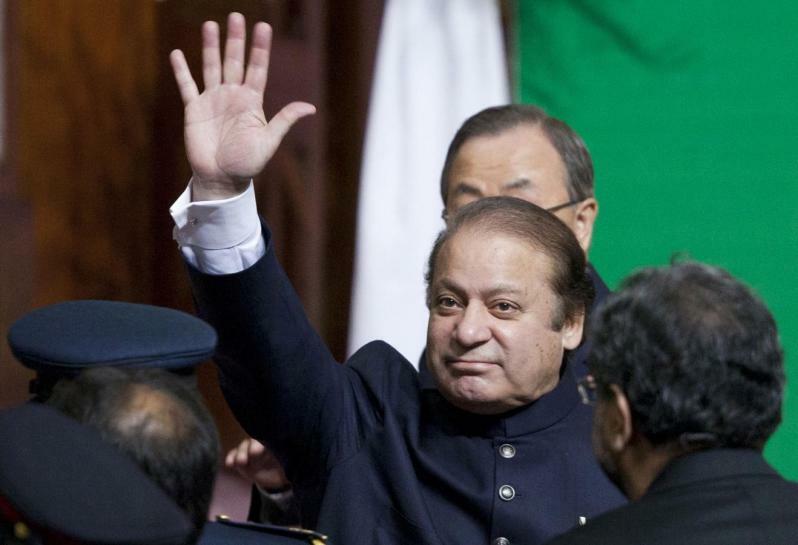 In a press release issued by the country’s top anti-graft body, the chairman took notice of the reports on news channels claiming that Sharif laundered $4.9 billion to India.